For those who don’t know, the RRR is the Red River Rivalry. Most people alive only know about the match up in the Cotton Bowl each year during the State Fair of Texas, but the rivalry began in 1900. There have been a number of years when the two teams didn’t play and the game was once played home and home, but since 1929 this contest has been held at the Cotton Bowl, with the tickets being equally distributed so that half of the stadium is Crimson and Cream, and half is Burnt Orange and White. There is no home field advantage. The record in this heated rivalry is 59 wins UT, 40 wins OU. As with most rivalry games, team records or rankings coming into this game are meaningless. On too many occasions the team with the worst record coming into this game has come out victorious. This game is often about championships, either conference or national, but it is also about bragging rights, and more importantly, recruiting. This year, the OU team comes in with a theoretical advantage over UT. Both teams are struggling in their own ways, with UT coming off of an embarrassing and emphatic loss. UT has shuffled a number of players on their depth chart since last Saturday’s loss, which is surprising considering they were the #4 team in the nation prior to losing to UCLA. UT will be featuring their fourth new starter at running back this weekend, which will be their fifth game. As a life long OU Sooner fan and a UT grad, I have always enjoyed this game each season more than any other. It is just plain fun because of the intensity of the game and the rivalry, as well as the setting during the State Fair of Texas. It is an event of sensory over load and I can already smell and taste the savory flavor of a State Fair Corny Dog, slathered with mustard, accompanied with the loud cheers, yells, oohs and aahs. A couple of video selections to accompany this post. The first from the largest margin of victory either team has experienced in this long rivalry. The next is an introduction I would like to see from OU linebacker Ronnell Lewis and UT QB Garrett Gilbert. Hello Mr. Gilbert, my name is Mr. Lewis and I will be serving up your ribs today. For those who can’t attend the game, like me, it will be live in color Saturday at 2p.m. on ABC. A nicely done history of the RRR video. What Did The DNC Know And When Did They Know It? Catherine Engelbrecht’s diligence and hard work have exposed the criminal acts carried out by Service Employees International Union (SEIU) member Steve Caddle of Houston. Ms. Engelbrecht and friends spent many hours investigating voter fraud in Harris County by Democrats and unions, with the result being a criminal complaint forwarded to the Harris County DA. What did Ms. Engelbrecht discover that is so alarming? Mr. Caddle’s group had registered 23,207 fraudulent voters. “The integrity of the voting rolls in Harris County, Texas, appears to be under an organized and systematic attack by the group operating under the name Houston Votes,” the Harris voter registrar, Leo Vasquez, charged as he passed on the documentation to the district attorney. A spokesman for the DA’s office declined to discuss the case. And a spokesman for Vasquez said that the DA has asked them to refrain from commenting on the case. Could this investigation have anything to do with the Harris County voting machines being torched recently? I wouldn’t bet against it. Your hard work is greatly appreciated and I hope it serves as an example to other concerned citizens to get involved. Ed Laskey at American Thinker has a post on this. The Mississippi State Fight Song, performed by students and fans on campus, (featuring Nuke’s Nephew). Great job, Will. Tell your sister Happy Birthday, and give your Mom a hug for me. 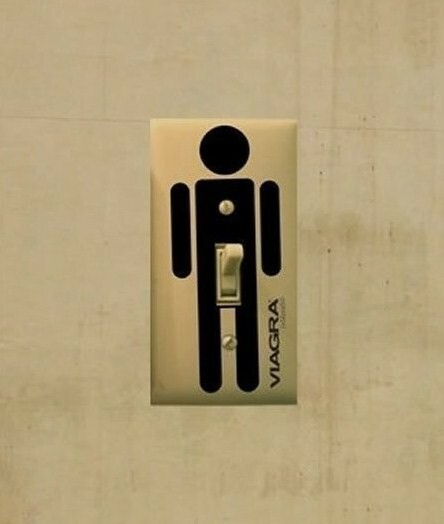 Confucius say … If light stay on for over 4 hour, call an erectrician. Here’s the latest from the “religion” that gave us HONOR KILLINGS ….